Site clearance covers all aspects of J E Varley’s services in one package and ensures if you have a piece of land that needs clearing we’ll take the time to survey, assess and then clear the site in the most environmental and efficient way possible. Working with various construction, maintenance and general companies throughout Yorkshire J E Varley has been providing site clearance services for over twenty years and we’re called in each week to help on all types of projects. 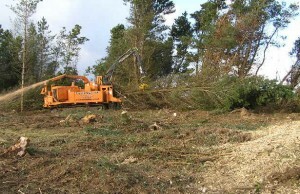 A site clearance involves the cutting back, removal and adaptation of vegetation where required. When complete the J E Varley team will leave your site completely clear, level and ready for construction to start. If you need professional site clearance work in Yorkshire, speak with the experienced team, J E Varley can provide excellent consultation, help and advice. We can talk through our experience and provide a quote for any work. Either call us or complete our contact form today.